When space is a constraint, it is important to increase the height of the structure so that there is no shadow on the solar panels and at the same time there is access to every solar panels for maintenance. 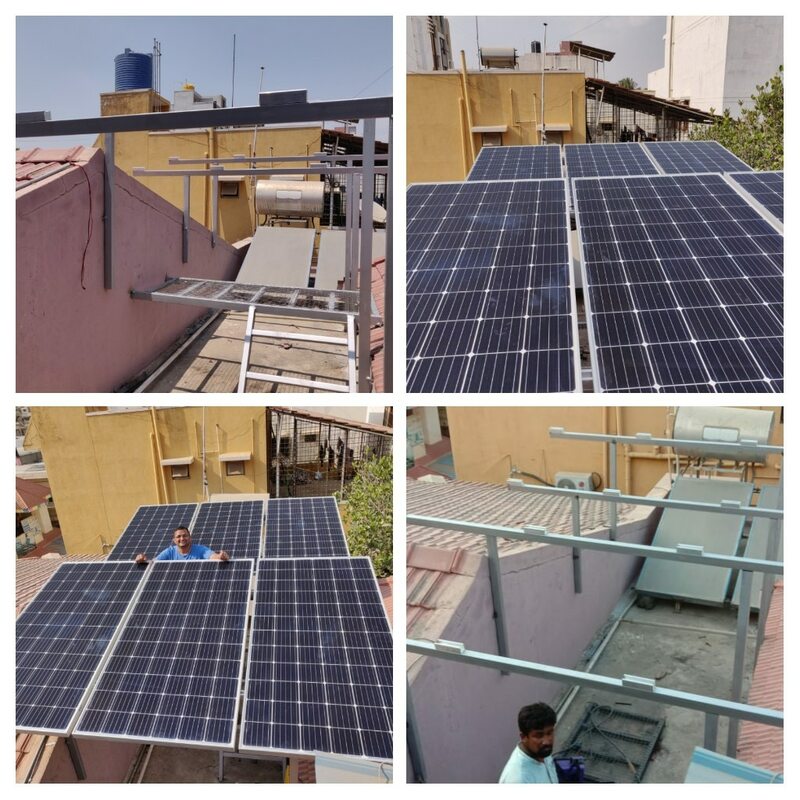 This is a small rooftop solar system commissioned recently. It has been designed such that there is no shadow on the panels at any point of time and every panel is accessible for scheduled maintenance.